The aim of the national contest for university students is to promote research among university students, stimulate them to be more active and to acknowledge students who have achieved outstanding results with their thesis, study, research or scientific publication. “Research contests are a good incentive for students or fresh alumni and an opportunity for testing themselves. The history of students' research competitions goes far enough. Recalling the names of the authors of the pre-war competition, it turns out that many of them became known scientists, academics, doctors or social figures. This generalization also applies to current competitions. We will certainly hear about the progress of the authors of the current entries, " said Andres Koppel, the chairman of the board of the Estonian Research Council. 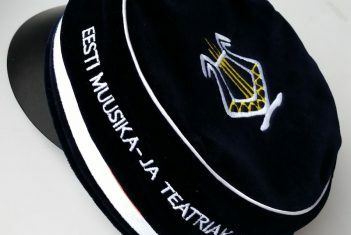 In addition to national awards, special prizes of the President of the Estonian Academy of Sciences and the Ministry of Social Affairs are issued. 6. Special prizes from the Ministry of Social Affairs, totaling EUR 3400. The Estonian Research Council is organizing the contest for student research in cooperation with the Ministry of Education and Research for the 27th time this year. • The conditions of the contest can be found here.